They’re on the go, living their lives on smartphones and using social media. They’re skipping the doctor more and more, relying instead on pharmacists for medical advice. And they want to save money. A new report shows that Hispanics represent a large, mostly untapped market for health care companies. And while this demographic has largely been left behind in the U.S. health care system, that is about to change. “I definitely think that Hispanics are paving the way when it comes to the use of technology, particularly social media,” says Ceci Connolly, managing director of PwC's Health Research Institute, which issued the report. An estimated 10 million Hispanics are newly eligible for health insurance under the 2010 Affordable Care Act, widely known as Obamacare. The law creates online insurance exchanges where people can buy private health insurance, often heavily subsidized by the federal government, and it also encourages states to expand the Medicaid health insurance plan for low-income people. 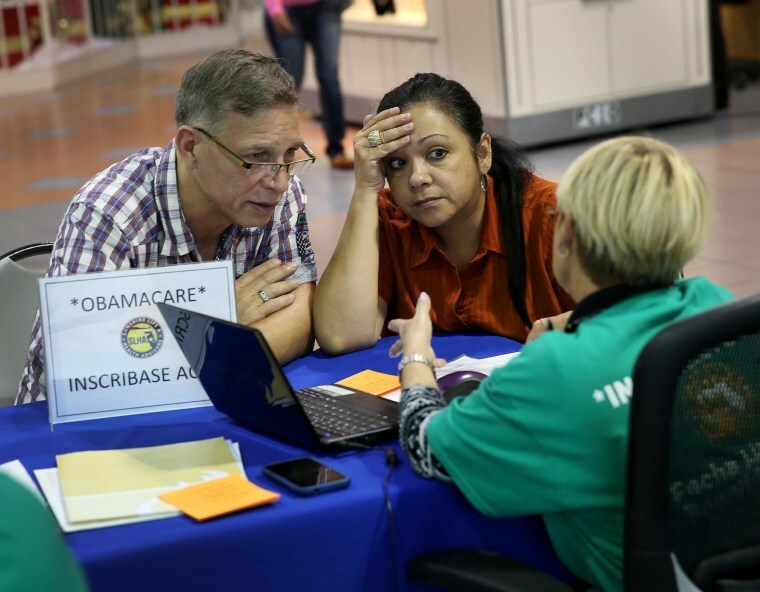 About 10 percent of those signing up for private health insurance on the exchanges for this first year are Hispanic, the Obama administration says. Health care businesses should take note, the PwC (PricewaterhouseCoopers) report advises. “Hispanics have tremendous consumer purchasing power, but our research shows that they have also been more likely than other consumers to delay health care, and don’t have great trust in the U.S. health system,” said Frank Lemmon, principal for PwC U.S. health industries. PwC commissioned a nationwide survey, in Spanish and English, of 500 Hispanics and 500 non-Hispanic adults. They also gathered detailed information in focus groups in New York City and Dallas, sought information via social media and spoke with industry professionals. The survey found that 43 percent of Hispanics have delayed care due to cost at least once in the last year, compared to 35 of the non-Hispanics. And Hispanics are cost-conscious in general, caring about cost over quality even when they have health insurance, the research found. A separate study, by Pew Research, finds that fewer than half of Hispanics say they have a regular doctor. People bring habits with them when they immigrate to the United States, Connolly says. “In many countries in Latin America, they are going to pharmacies for much more of their care than just picking up a prescription,” she said in an interview. That’s a pattern that health care experts predict for the United States in general, as more people get health insurance and demand health care not just from doctors, but from pharmacies, retail clinics and other alternative venues. Hispanics are also leaders in technology, even if they are less likely than other Americans to have a home computer. “We definitely think the rest of the country is following close behind in the use of technology for health care,” Connolly said. For instance, the report found that 45 percent of Hispanics have searched the Internet for a health care provider, compared to 41 percent of the non-Hispanics. And 34 percent of Hispanics said they were influenced by social media in making their choice, compared to 27 percent of non-Hispanics. “We definitely think the rest of the country is following close behind in the use of technology for health care." “Nearly one-fifth of Hispanics said they are already using an app or the Internet to make medical appointments; another 31 percent said they would be very willing to,” the report says. “Companies should tap into Hispanics’ mounting purchasing power, ‘do-it-yourself’ mentality, and willingness to seek care in non-traditional settings. Look to this demographic to pilot mobile health apps ranging from diagnostics to chronic disease management. Hispanics may be the first adopters of these tools,” the report advises. It’s worth paying attention for another reason. Hispanics are the fastest growing U.S. minority group, with a 43 percent increase in numbers since 2000. Hispanics are projected to account for about 30 percent of the U.S. population by 2050. But companies must also not make the mistake of looking at Hispanics as a single group.